Before I start this review, I must give you several advanced warnings when visiting Sushi Tengoku. 1. For your convenience, you MUST book in advance. 2. 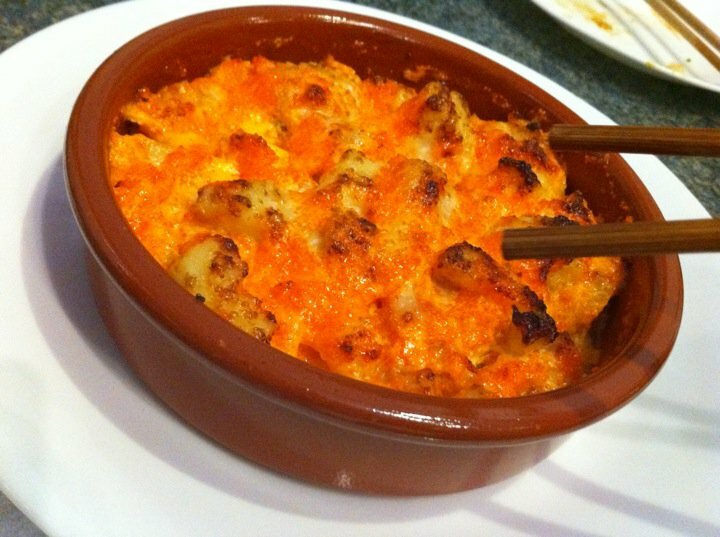 If you want to order Baked Scallops, you MUST mention it when you make the booking. 3. Be prepared to allocate 1 – 1.5 hours of dinnertime since the dishes will sometimes take a while to be served. I have never found this restaurant to be empty during dinnertime, maybe if you arrived past 9 PM you would have better ambience. The tables were quite densely arranged. They had a very simple menu (a 2-sided list of food) and if you knew your Japanese food, you could order any Sushi, even they were not on the menu! If you only exclusively eat the Sashimi or the raw Sushi then you might be able to blitz thru the night because they are always the first ones to arrive. 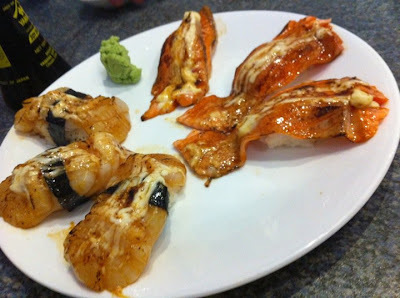 With that being said, our first dishes of the night were (surprise surprise) Aburi Scallops and Salmon. These were not your everyday Sushi. They were gigantic! They were so big that you could not even see the rice below the fish (with the case of Scallops, they put two on one rice). We then had the entrees dishes, Takoyaki and Crabmeat and Avocado Salad. 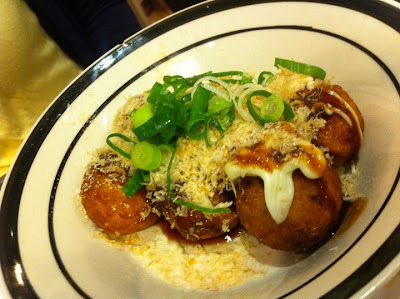 The takoyaki was just average. The salad looked pretty bright and tasted nice. 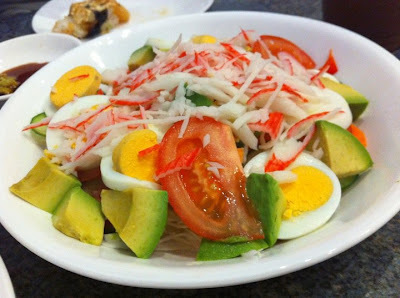 Both dishes were sort of a staple dish that you can get out of any Japanese restaurants in town. 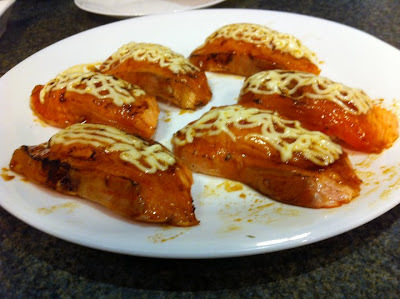 The next dishes that came to our table were the Salmon Head Teriyaki and Sushi Rolls. 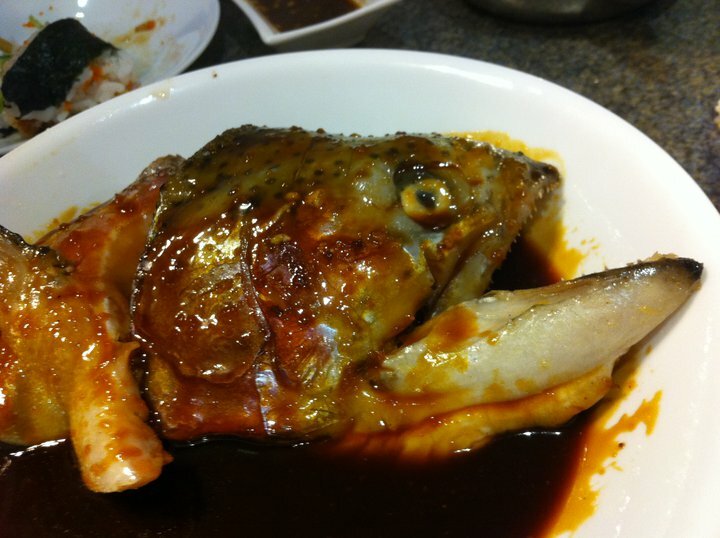 The first dish might not be for everyone, but I do love fish head. This one particularly was fabulous. 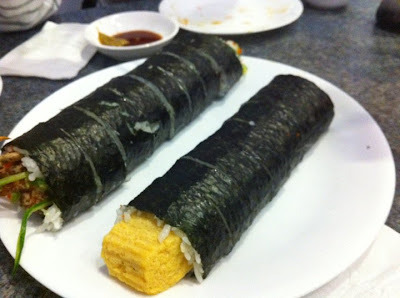 They deep fried the fish and dip it in Teriyaki sauce, creating a crunchy, yet soft, fish skin and meat.We ordered two Sushi rolls on this occasion, Soft-shelled Crab and Tamago Roll. The rolls were brilliant, and massive. The crab was crunchy and the tamago (egg) was soft and sweet. 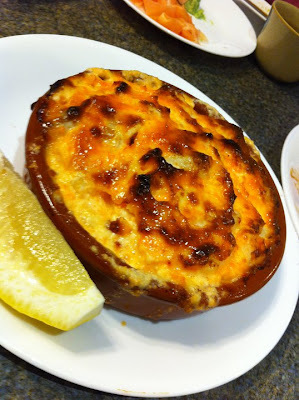 One of our longest wait was the Baked Scallops. But I’m telling you it was worth the wait. It was a quite small dish of baked scallops and salmon on a bed of mayonnaise and fish roe. The real turn off was really the wait, but other than that everything was so perfect. The final verdict: If you can get past a long waiting time, slightly above average price, and average table setting, then Sushi Tengoku is a good place to eat. I was going to give a higher rating for this one for the taste, but other factors dragged them down considerably. 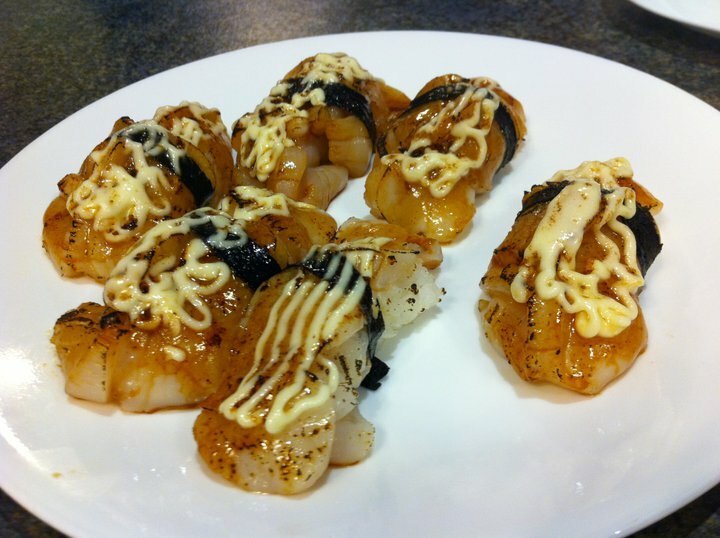 The sushis are massive and baked scallop is just over the top. If you don’t mind a fish looking at you, then the Salmon Head is really a bargain! Kensington is also one of the suburbs without an outstanding restaurant. There are several non-chain restaurants but I am not sure of their quality. i'm holding back my drool.. i love sushi, especially those with avocado and cream cheese. These look absolutely delectable.. too bad about the price and the wait though. Thank you for your honest comment and opinion. Do come back, we have bettered our service and cooking time has quicken. Still busy as usual but we got better and lots more special.